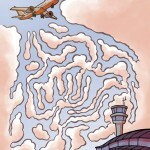 The plane got lost in the clouds – help it find its way safely to the airport! A new maze Marc made for the magazine “Junior”. 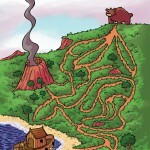 Help the poor bear find his way back to Noah’s Ark! Check back next week for the next maze.